The Yellin Center Blog: Love The Giver? Read the Rest of the Quartet! It’s hard to believe that most young people would not have been able to define “dystopia” ten years ago. Dystopian fiction is one of the hottest genres these days, with series like The Hunger Games, Divergent, Matched, Uglies, The Maze Runner (we could go on) flying off shelves – and, in many cases, onto movie screens. 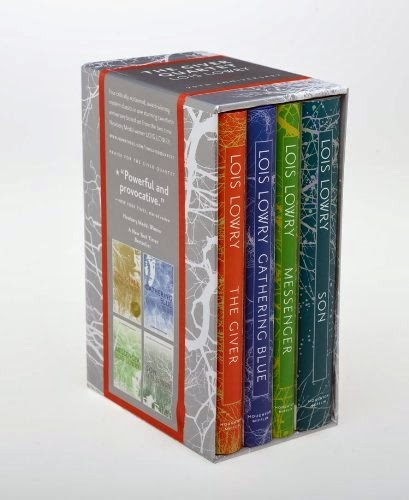 With this onslaught of new inductees to the world of young adult dystopian fiction, it’s easy to overlook one of the pioneers of the genre, Lois Lowry’s groundbreaking and award-winning novel The Giver. It was, and still is, a staple of the middle school language arts canon, and most adults in their mid-30’s on down have breathlessly turned its pages only to be haunted by its ambiguous ending. The Giver is one of the best-known and best-respected young adult books around. But did you know that it is the first in a four-part series? The Giver Quartet is comprised of its famous and eponymous first installation, plus Gathering Blue, Messenger, and Son. Gathering Blue, written seven years after its predecessor, presents a new dystopian society very different from Jonas’s Community. Kira, the protagonist, lives in a village that lacks any kind of sophisticated technology. Its inhabitants have no machines and do everything by hand. It is still a culture that values the strong, however, if by default rather than by design as in the Community. Kira, born with a twisted leg, has only a slim chance for survival, but her remarkable gift for embroidery gives her a chance to save herself. There only the vaguest allusions to The Giver in Gathering Blue, and they come only at the very end, but the same themes are explored with writing that is just as gripping. And reading both is essential preparation for Messenger, which comes next. We’re loath to give too much about Messenger away, so we’ll share only sketchy details. Some familiar characters resurface in yet another settlement, located, as it turns out, in the same forest as Jonas’s Community and Kira’s village. Life in this third town is simple in many ways, but the technology and the culture are more sophisticated than in Kira’s village. The magical realism in The Giver, which plays a role in Gathering Blue, becomes more dominant in this book. Its hero, Matty, is one of our favorite characters in the series. As in the previous two novels, Lowry explores the dark side of human nature, though we’re happy to report that selflessness, humility, and love win the day. Son, the fourth and final book, is the most sweeping novel in the Quartet. It begins back in the original Community and tells the story of Claire, a so-called birth mother who discovers many of the dark secrets we learned in The Giver and rebels against the Community. The reader learns before too long that she and Jonas are contemporaneous, and it is interesting to read the familiar events in The Giver from a different perspective. Like Jonas, Claire chooses to escape from the Community; her motivation, however, is not her own freedom but the desire to be reunited with her son, who was taken from her to be raised by others like all newborns in the Community. Again, the reader is reunited with familiar characters, and the conclusion of Claire’s adventures and travels provides a satisfying ending for both the book and the whole series. One great thing about The Giver Quartet is that it’s appropriate for younger readers. Due to dark themes, violence, and more complex language, series like Divergent and The Hunger Games are best for slightly older kids. The Giver, while anything but simple, is accessible to the average fifth or sixth grader. 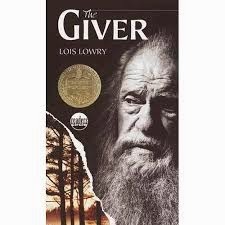 We enthusiastically recommend the whole series to young readers, particularly to those who have been on tenterhooks since they finished The Giver.